Our course is taught by Russ Adams from SyFy Channel's Jim Henson's Creature Shop Challenge. Class rates include all materials, tools (exception airbrushes), and 27-30 hours of instruction and hands on practicals. 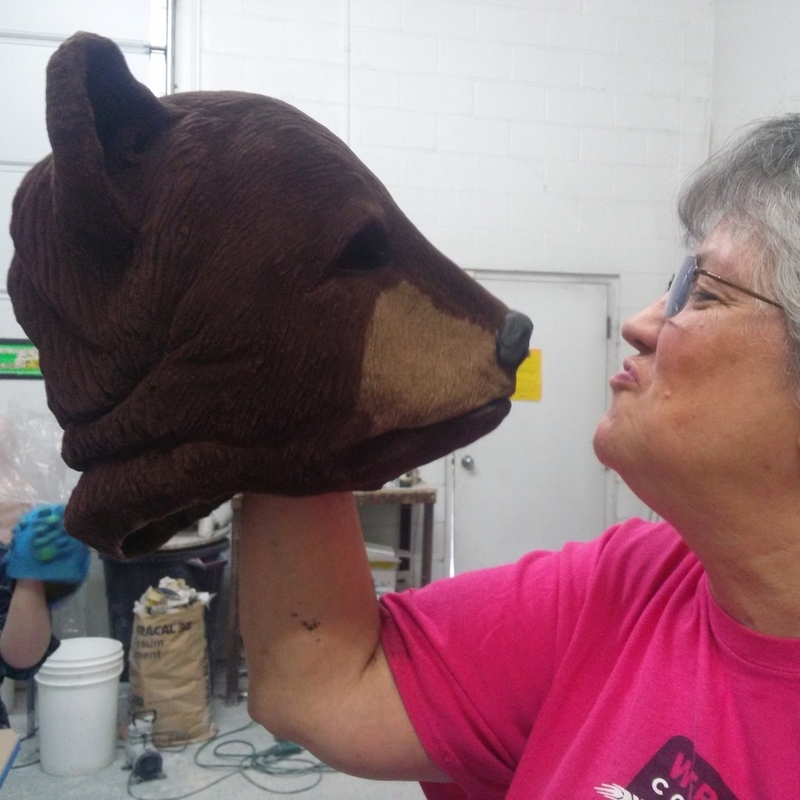 When complete, clients leave with a finished mask, a mold in which to make copies of their own creature creation, and the know how to do it all again. NOTE: This class is designed to teach the art of creating a latex mask. While participants are encouraged to come to class with an idea, creature, or character in mind, these plans must also remain within the realm of feasibility. Mask designs should stay within the size of the creatures depicted above. Larger masks require more complex molding techniques, more materials, and more of the instructor's attention. Please understand that larger project will need to be reduced, or may be rejected. While your clay, plaster, latex, tools, and paints will be available as part of the fee, your creature may require something we don't offer in class. An example might be glitter, jewelry, etc. While we can't anticipate all the projects that you might come to class with, we can certain direct you where you might find the speciality materials you need. Instructor will demonstrate and supervise blocking techniques, basic formation, rough & fine detail. The EDFX Latex Mask Course is designed to be an introduction to mask making. Molds will be 2 piece molds. Instructor will review mold making procedures, caselines, registrations, pries, and separations (demolding). In the third week the instructor will demonstrate cleaning methods, flashing removal, pull repair, painting, and finishing work. Airbrushes are not supplied, nor are they required. If you have your own airbrush, and wish to bring it to class, airbrush tips will be offered. Book only available for the Nov 4-19th, 2017 class. Elements of this class maybe filmed. If you have a problem with this, please let us know. We will remind you about this in class. Class is $350 per person and includes all materials.